Prosoniq has announced that its Windows products will be discontinued from June, 1st 2009, and that its Mac plug-in line, which will now be its plug-in focus, will receive updates later this year. Existing Windows products will continued to be sold until that date, and updates will be available until the end of 2009. Users who wish to crossgrade from the latest version of their Windows product to the Mac counterpart can do so for free by contacting Prosoniq via its contact form. Bernhard Bouché, CEO at Prosoniq, said that the Windows platform, though having a larger market share, has become increasingly unattractive due to the widespread availability of pirated Prosoniq products. "We were, and still are, using a serial number based authorization. We believe that moving from this relatively easy and painless method to a more complicated and error prone way of protecting our products is counter productive. Our past experience with dongled products shows that implementing a dongle based copy protection is prohibitively expensive for add-on products like our plug-ins, and makes selling over the internet problematic", said Bouché. Since Windows product sales in 2008 have been virtually nonexistent, according to the company, Prosoniq has eventually decided to put the focus once again back exclusively on developing Mac products. "Even though we are aware of the danger of being dependent on a single company we are primarily a Mac based company", Bouché said. "Our experience shows that 90% of our customers are on a Mac anyway", he added. Windows product development had been one requirement for Prosoniq's relationship with their former distributor, Steinberg. Prosoniq and Steinberg parted in 2001 but are still working together as technology licensing partners. All Prosoniq technologies will continue to be available for licensing on both Windows and Mac. 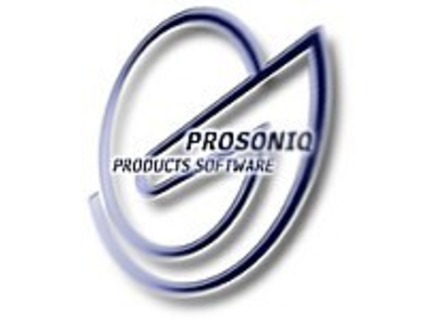 New versions of Prosoniq's Mac OS X RTAS and VST products as well as new AudioUnit versions are expected to be available in Q4 of 2009. Magenta and Rayverb will be discontinued starting June 1st, 2009. They will eventually become part of a different product in the course of this and the following year. Prosoniq will not be able to deliver the much needed Intel updates earlier, but there have been quite a lot of changes in the VST and RTAS SDK so they decided to redesign them from the ground up rather than to amend existing (mostly Carbon and legacy Mac OS 9) code. More information on product roadmap and feature sets will become available after the summer. Prosoniq Northpole Update Prosoniq has updated the free NorthPole filter plug-in to the Apple AudioUnit format for Mac OS X.
Orange Vocoder & morph AudioUnit Updated Prosoniq has updated Orange Vocoder AudioUnit Anniversary Edition to v3.2.3 and morph AudioUnit to v1.2.3. OrangeVocoder 10th Anniversary Shipping Prosoniq is now shipping the 10th Anniversary AudioUnit Edition of OrangeVocoder.